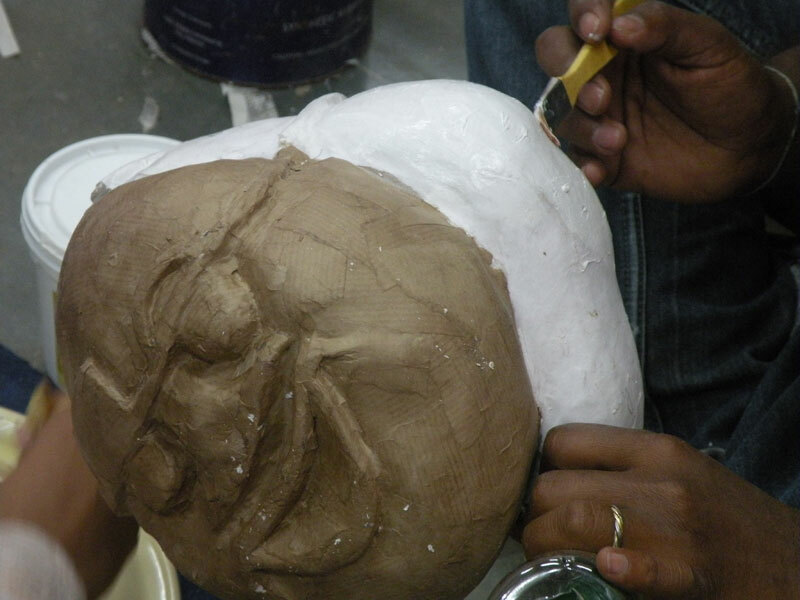 Thermocol block to be sculpted to form the face of the puppet. The basic shape and facial features are sketched out for reference. 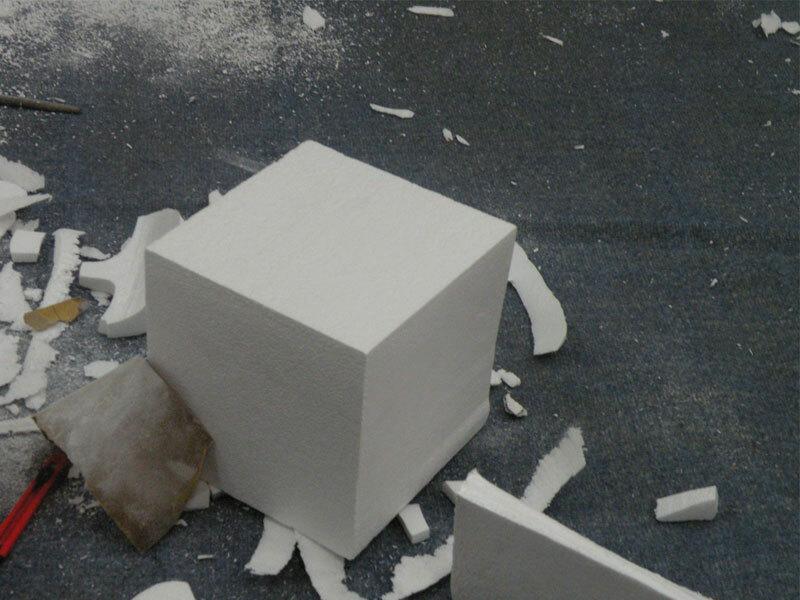 The crude basic shape is derived by filing and shaving the block. Files with different cross sections, saw blades and paper cutters are used. 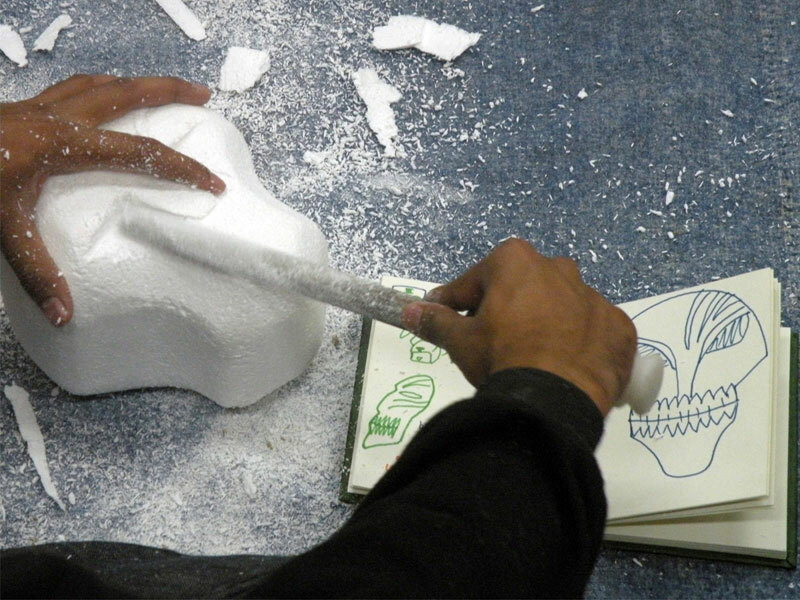 The sketched idea is transferred from paper to the base material. 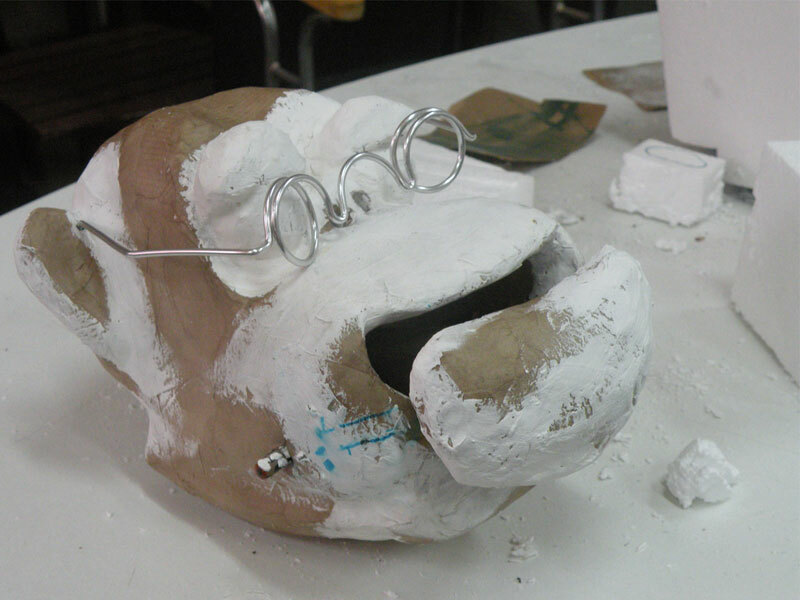 The facial features portray the character of the puppet. 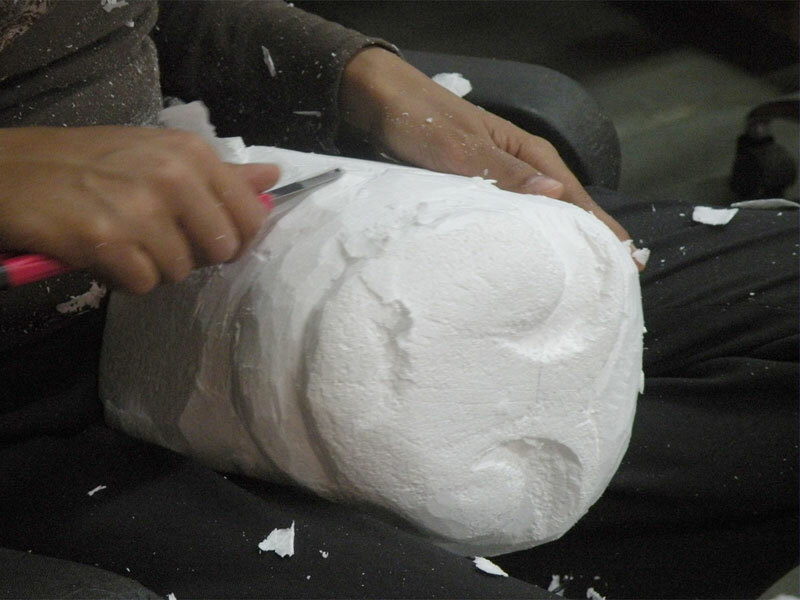 The features are refined further with detailed sculpting. 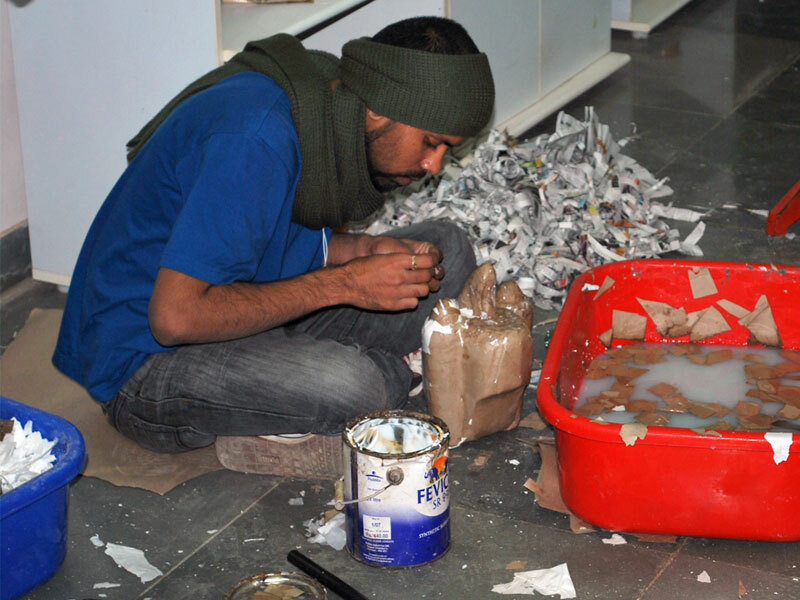 Brown paper is pasted with fevicol to form a uniform smooth surface. 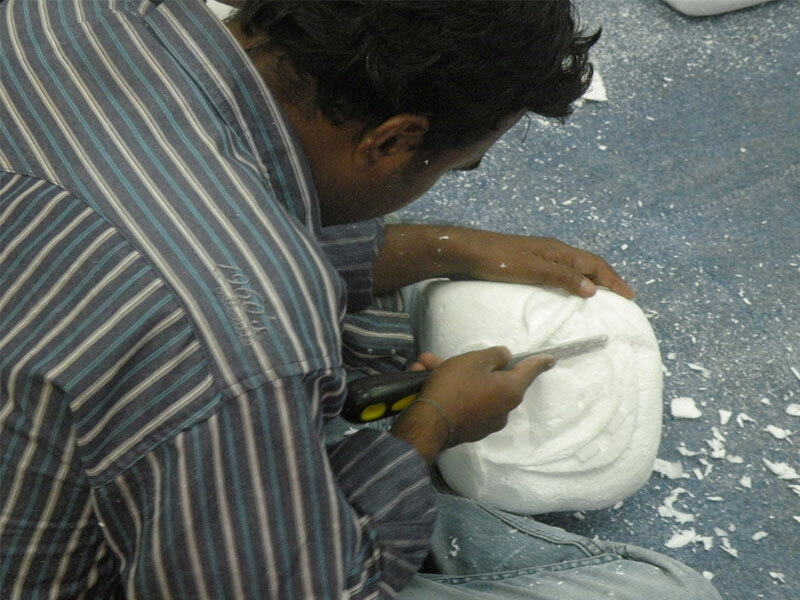 A putty primer is applied to prepare the surface for colouring. 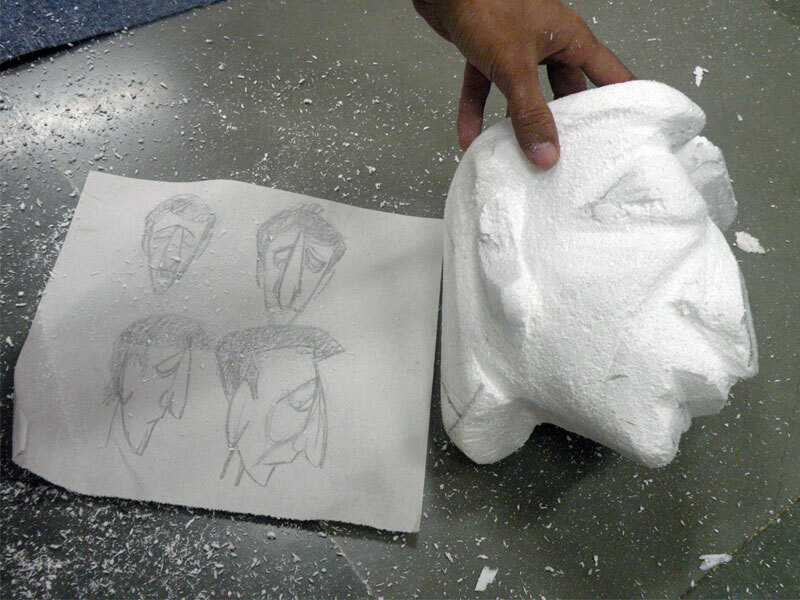 Embossed facial features are created using Putty paste. This strengthens the face and makes it receive colours easily. 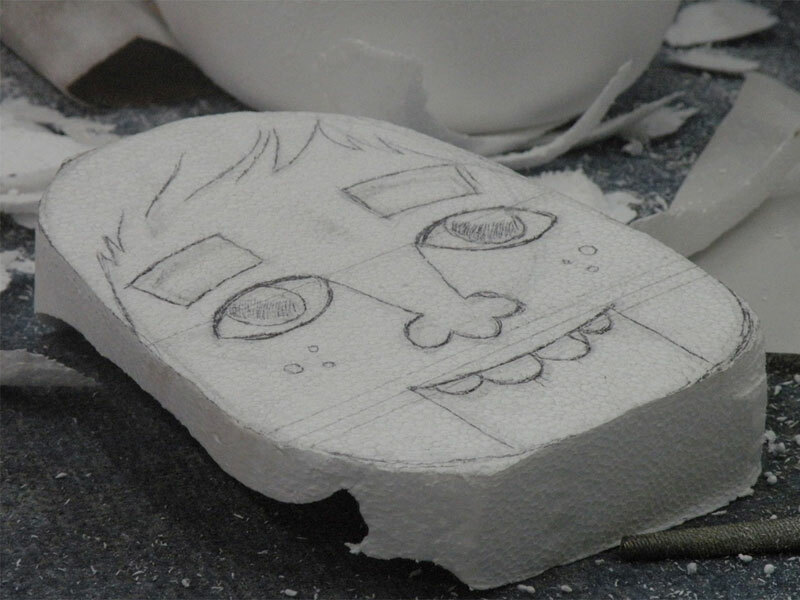 The face of the puppet is ready to be coloured. 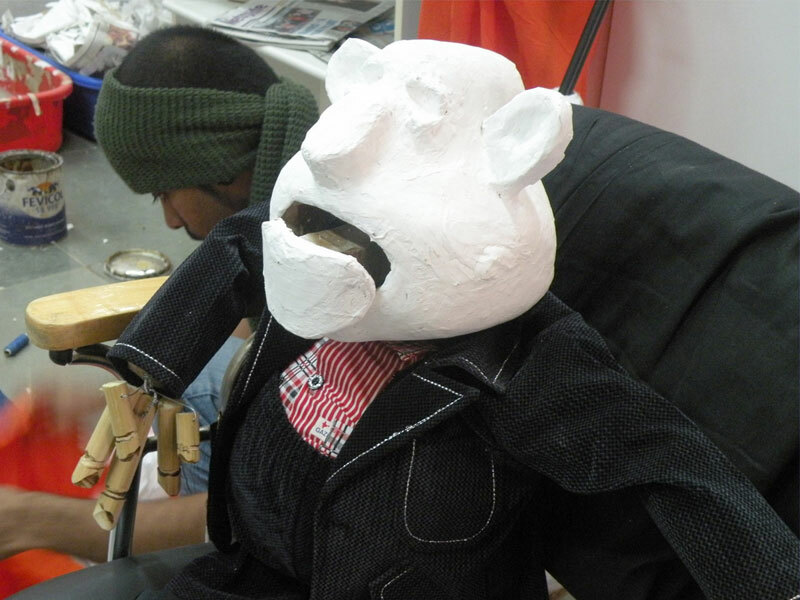 Traditional Puppet Making is a deliberate process that uses a variety of traditional and modern Materials and Techniques. 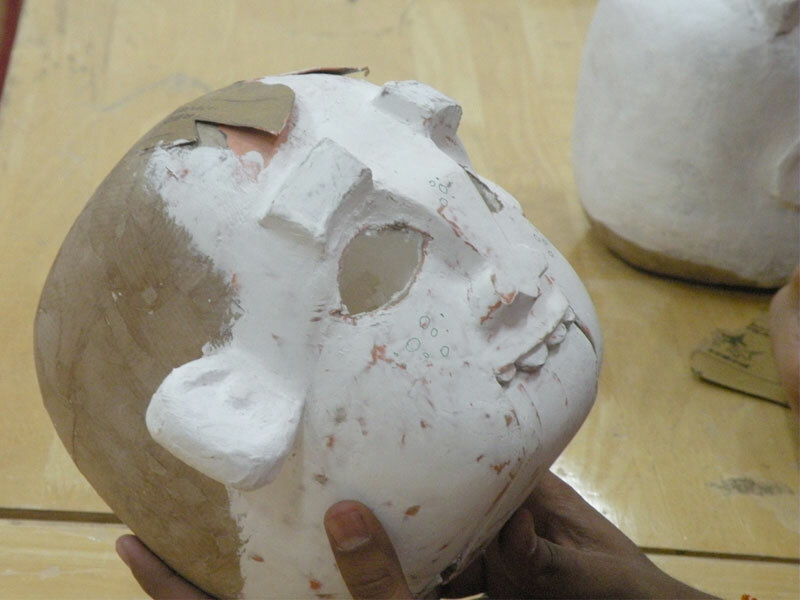 The Face forms the most expressive part of the puppet and is a deliberate process, conveying the character the puppet stands for. Depending on the character, the features are visualized and sketched out. The following slides capture the process as experienced by amateurs in the field, using low cost, low weight materials, easy to manipulate and form. 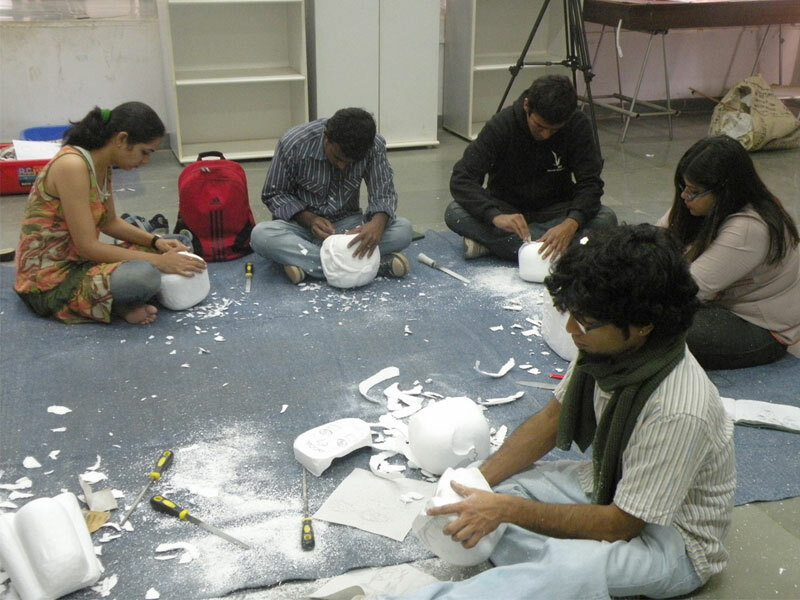 These photographs of students works have been documented during the puppet making open elective at NID, R&D campus, Bangalore.